On Jan. 3, 2018, Ethiopian Prime Minister Hailemariam Desalegn made an equivocal announcement that political prisoners in his country will be released at some future date. He provided no details. Desalegn said, “Some members of political parties under prosecution will be released” and that those convicted will be pardoned based on an assessment “to establish a national consensus and widen the political sphere.” He promised to close the infamous Maekelawi prison and convert it into a museum. Why is the Ethiopian regime now prepared to release political prisoners it never had? There may be several contributing factors. Over the past two years, the regime has been unable to contain the ongoing unrest and civil resistance throughout the country. There has been mounting international pressure on the regime to release political prisoners and open up the political space. More recently, there has been deteriorating ethnic strife in the country, with telltale signs of a creeping civil war. 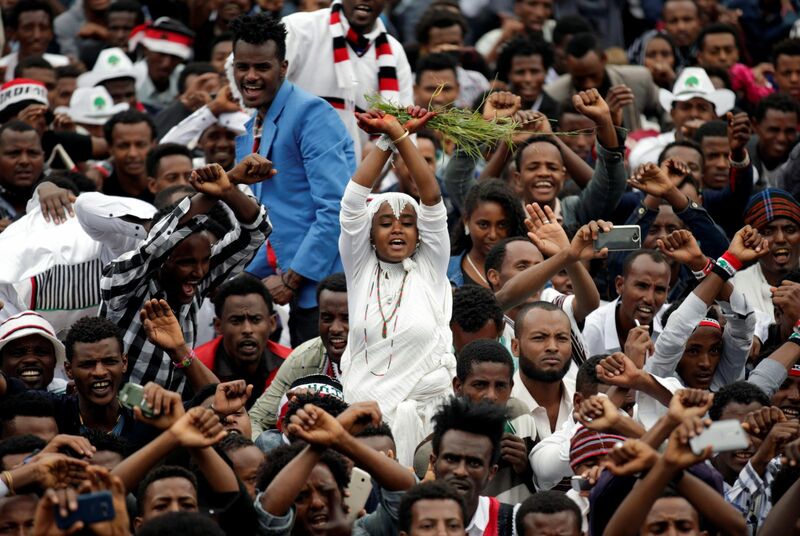 While these factors may have played crucial roles in the extraordinary announcement, I believe critical mass was reached when the Trump administration delivered its message of human rights and aid accountability directly to the Ethiopian regime. Demonstrators in the Oromiya region of Ethiopia, during protests. President Trump and Secretary of State Rex Tillerson deserve full credit for promoting human rights and aid accountability in Ethiopia and Africa in general. There are many unanswered questions about the announced release of political prisoners in Ethiopia. Is the announcement a public relations stunt? Will there be a blanket amnesty, or only selective release? Is the regime trying to buy time to prolong its rule by making empty promises? Will the regime create bureaucratic snafus and drag its feet in releasing political prisoners? Could the regime use political prisoners as “hostages” to extract concessions from the opposition? Could the announcement be a genuine gesture aimed at reconciliation and pull the country back from the precipice of civil war? Is the announcement too little, too late as the country slowly slips into a creeping civil war? I do not trust the words of a regime that bold-facedly claimed for over a decade that there are no political prisoners in the country, and shamelessly declared it had won all the seats in parliamentary elections. The Ethiopian regime plays only zero sum games. Is it possible to trust the words of a regime that “believes only they can know what is best for Ethiopia,” as Ambassador Yamamoto observed in 2009?